The handmade cowboy boots by Lane Boots, from Arlington TX, are the jewels among the American boots. You will recognise the boots by Lane by the turquoise finish of the leather sole. The boots are totally made by hand, Lane makes their boots with passion! 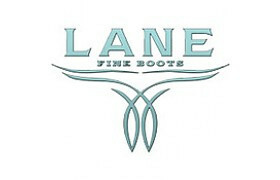 Lane boots have their own facility in Mexico, where they next to the boots for the Lane collection make the boots for other labels, like Junk Gypsy by Lane, Kippys by Lane, and Patina Vie by Lane. In our shop in the centre of the Hague and in our online specialty store you will find a broad collection boots by the quality label Lane boots. Every pair of boos in our shop is chosen by us with love, devotion and attention, always with the latest trends in mind and unique in color and model. We work together with Lane everyday and are committed to continuing our dedication to the quality, style and comfort you expect from Lane Boots. 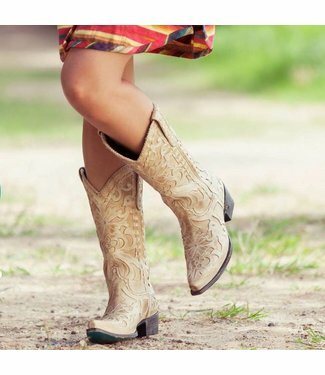 We want to add a little attitude to your style and put a little smile on your face every time you wear our boots. We're proud that we sell the exclusieve brand Lane Boots as the official dealer in the Netherlands. 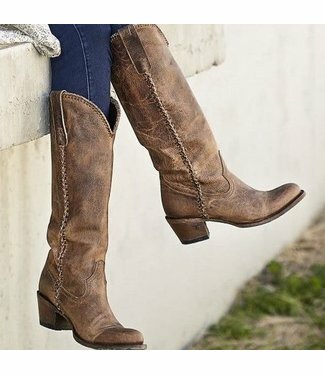 Did you see a certain Lane boot that we do not carry in our selection? Contact us, we will order that boot especially for you. 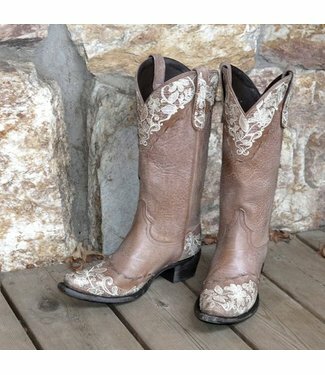 Western boot in ivory leather with embroidered flowers, pais..
Western boot in two layers leather. The black upper layer is.. Especially for you! We already have a very extensive collect..